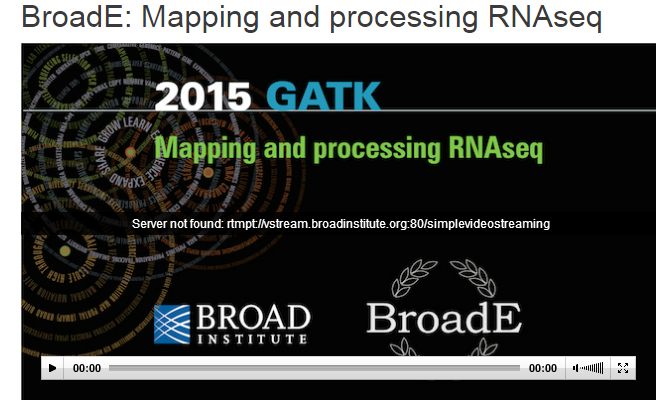 The full GATK team presented this workshop at the Broad Institute with support form the BroadE education program. 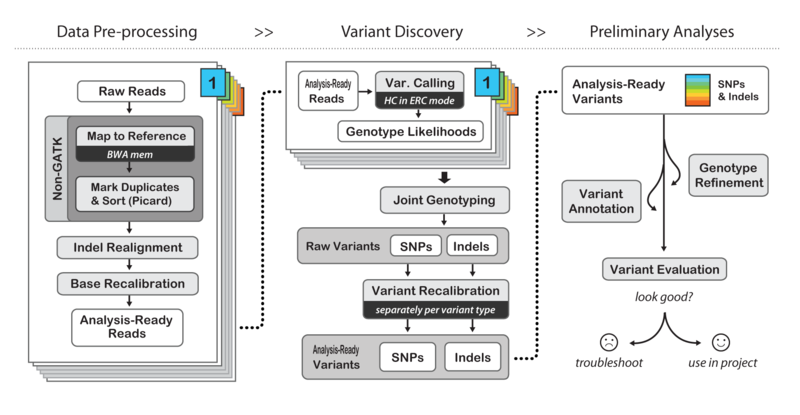 This workshop covered the core steps involved in calling variants with the Broad’s Genome Analysis Toolkit, using the “Best Practices” developed by the GATK team. The presentation materials describe why each step is essential to the calling process, what are the key operations performed on the data at each step, and how to use the GATK tools to get the most accurate and reliable results out of your dataset. The workshop materials are available at this link if you're viewing this post in the forum, or below if you are viewing the presentation page already. This workshop is really very interesting and this is the latest one as well. I really would like to check the videos for the presentation, as not all information is in the slides. However, the videos available at http://www.broadinstitute.org/partnerships/education/broade/best-practices-variant-calling-gatk-1 does not work anymore. Would it be possible to fix them or make them available on other sites, such as youtube? I just tried a few of the videos on the site, and they work for me. Can you try watching them again? Are there only a few specific videos that do not work? One of our new devs mentioned he had the same problem and realized it was because he didn't have flash player installed. We're going to talk to the folks at Broad who provide the video hosting to see if we can make things easier for everyone to access the videos. I just tried on my computer using Google Chrome, and that video works for me. What browser are you using? Hello, we teach a bioinformatics class at the University of Vermont, can we use some of your slides? Yes that's fine, as noted in response to your other question (no need to ask the same question several times, we read and respond to all postings).